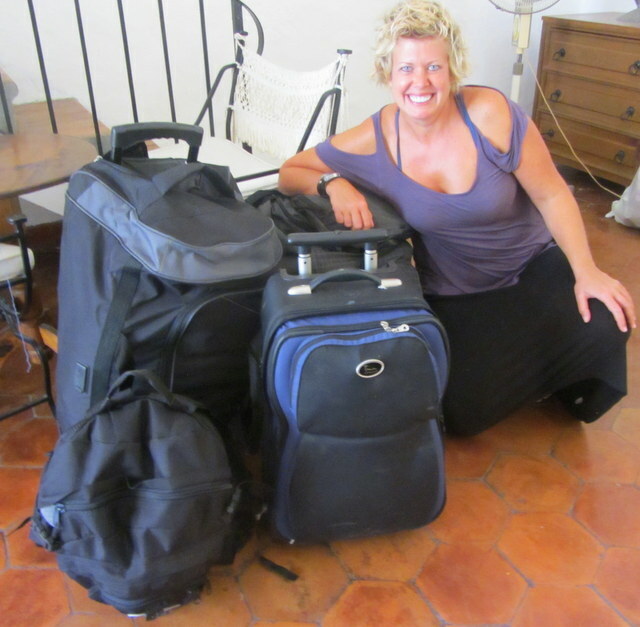 Letting Go Of Baggage: A Weight Loss Plan For Your "Stuff"
Well, here I go again. Almost, six months ago, I sold everything I owned, and moved to Mexico. Well, almost everything. I still had SIX suitcases, which is a lot to carry if you want to be free. But, you know what? I wasn’t quite ready to let go of everything yet. I did pretty good at downsizing from a three-bedroom house to this, but it was still a heavy load. But, now, I’m finally ready. I’m ready to exchange my stuff for adventure, freedom, and lightness. If you are learning how to be a nomad, one of the main things you will learn is you need to travel light. So, now I’m down to this. Now, I’m down to three suitcases (the small ones), and two of these are going to stay at my parent’s house while I journey without them. But this is IT! Everything that I own. Now, when I first saw this, I thought “awww….isn’t that sweet.” And I even shared it on my Facebook wall. But, now I realize that this is the worst piece of advice EVER! You see, what I’ve come to realize is that no one can unpack your crap for you. Trust me, no one is going to want you showing up for the journey, a pile of stuff at your feet, and you expecting THEM to carry it for you and then unpack it for you, too. No, you’ve got to do the hard work yourself. You see, they’ve got their own junk to deal with. When you land in that hotel room together, you’ve both got to make your stuff fit in the closet, and on the bathroom counter, so ,trust me, it’s just a lot better if you don’t show up with a lot of stuff to unpack in the first place. Letting go of my physical stuff has also let me reflect on just how much emotional baggage that I’ve gotten rid of since being here, too. Sitting on a rooftop and watching the world go by day after day has had me realize that some of the stuff I was carrying around was no longer me anymore. They were just stories. Things that happened to me in the past. Stories that no longer served me. All of the cells in my body have changed since these stories happened to me. I am no longer the same person even physically, and yet here I was, still carrying all these stories inside. And so I began, letting them go. The first story I let go, is that I had to have a nine-to-five job, so I could afford a big house and lots of pretty things to put in that house, so I would have to keep working to pay for the pretty things and to keep the CEO’s at the big American companies making lots of money. Letting go of that story, that was the best thing I’ve ever done. And I let go of so much more. And, you know what? I did it all by myself. I didn’t ask for someone else to come hear my sob stories, the reasons why I was acting a certain way, or to come do the work that only I could do. No, much like I just gave away half the things I owned, I thanked each thing that shaped me in my life for being there. Yes, I even thanked the things I didn’t like. Because I realized, they all made me who I am. And they are all part of life. This gorgeous life with all its tattered pieces. At one time, they all fit. I honored those stories, and then I gave them back to life. And yes, I know I still have stuff to let go of. And I will, in time, when I’m ready. So, you want to know about letting go and how to do it. For physical stuff, that’s easier than you think. Just get rid of it. Your attachments to your “things” will fade. When you get to know yourself, you will finally realize that most of the things that you think you know about yourself are just stories. Really, all you are is just this present moment. Isn’t it time to start living your own life? So, are you going to keep living with fear or regret because of things that happened in the past? Or, are you going to open your heart and welcome in this moment with all of its glory? Are you going to keep seeing the world with a veil of judgment and hesitation? Or are you going to allow in this moment exactly how it is and see it for how it chooses to show up? Letting go isn’t easy. But it’s the best thing I’ve ever done. And as far as all this other advice, you know, about Date Someone Who Travels, Don’t Date Someone Who Travels, Date Your Dog, Date A Girl Who Eats, whatever. How about this, instead? 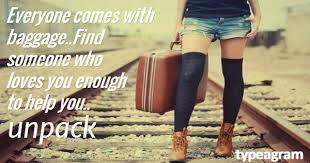 Stop looking for someone to hold onto. Choose the one you can let go with. Your blog is one I really enjoy, too. Glad you liked my article and I love the song lyric you shared! It’s hard for me to imagine a life without my stuff As I make another place my home, I’m taking such care to finally fill our place with things I said I’d get once I settled down. I’ve been aching for a wooden rolling pin since I moved here, and just got one this week! Have a great time. Hey Val, can’t wait to see where you go next. I’ve been wanting to do this for some time, but I find I like my stuff. Most of it at least. Well, there’s always storage! Yeah, it can be a hard decision..I liked my stuff, too, but decided I liked traveling more! Letting go can be extremely difficult. I’m in that process and I find that I break down sometimes… This was a very helpful post. Things will be alright and life works itself out in the end. Getting rid of stuff is liberating! What an inspirational and helpful post. I really enjoyed reading this. Letting go is a hard but necessary part of life. Thanks for sharing! Thank you, Mary!! Yes, it is…nothing reminds me of that like traveling! Interesting and useful! On a side note… Your sense of fashion is so cool. Love those shirts! Oh, thank you, Lillie! I got one in Thailand and one in Bali! Love the clothes I find in Asia! Ah, isn’t it liberating! We got rid of all of our stuff when we moved to Spain in 2012. The 4 of us each with 1 carry on and 1 checked suitcase. Here we are 18 months later and that is what we still have, plus a few goodies (printer etc) that we needed for our expat life. In a few months we will become nomadic (SCARY) and need to trim down a bit more. It is great to detach from “things”. We don’t need to hang on to remember, as the memories are in our heads and hearts. 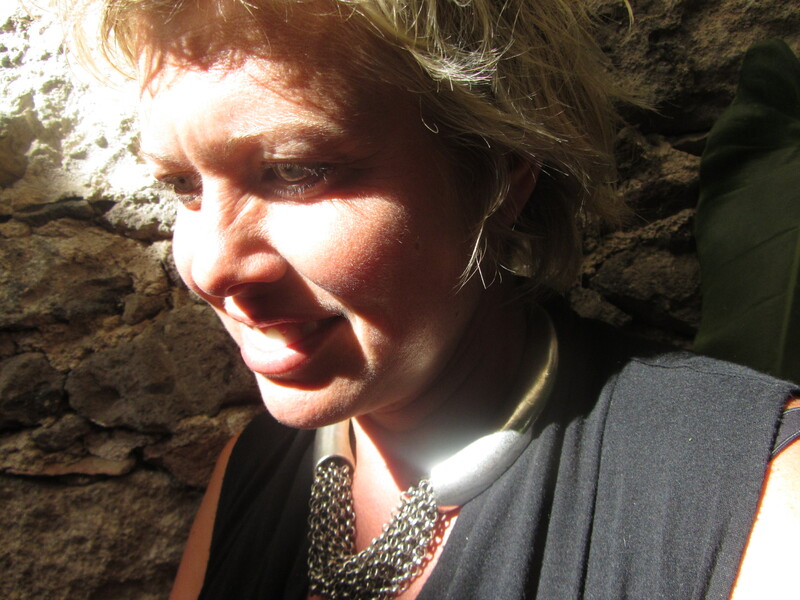 Let us know if you make it to Spain Val, we’d love to meet you. Heidi, where in Spain are you? We are in Almunecar. Southern Spain about 45 min east of Malaga and 45 min South of Granada. Right now I will only be in Ibiza and Madrid…I will have to come back to Spain another time for sure! Doesn’t it feel good? We pared down a lot before we left for our 11-month trip, and we pared down even more when we got back. 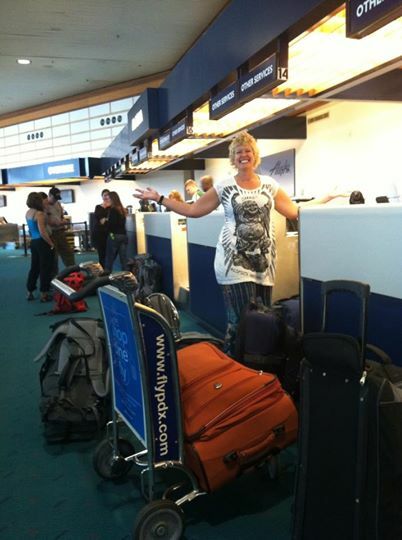 It was amazing that after living out of a suitcase for a year, we were ready to downsize our holdings so much more. My husband and I kept living out of our suitcases for a month after we got back. And I’m still wearing the same stuff every day, so that’s cut back on our clothing budget, too! It feels great. Yes, the more I live from my suitcase, the less I realize that I need! 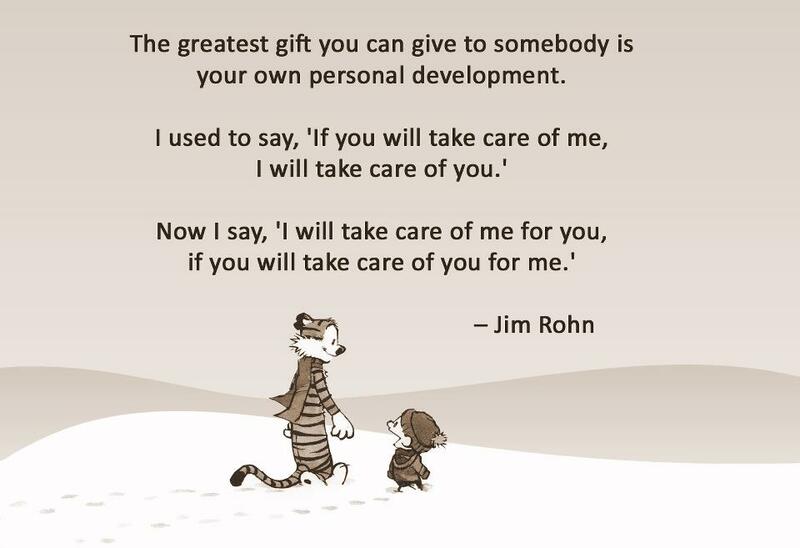 Love this- such wise advice. Every time I move I realize how much “stuff” I have that is really just taking up space- and go on massive sprees of giving things away. Travel is an excellent reminder of what is truly important and how the “stuff” is just stuff. Right, Elena? You can’t take it with you! Love this – we just got back from another trip (the 5 of us – only 3 suitcases!) and it’s always a shock to get home and realize how much “stuff” we have cluttering up our life at home, and what we never miss or need while away. Always an inspiration to purge yet more each time we return – good thing! Congrats on lightening your load so successfully. Since I’ve moved houses and countries so many times I’m not bad at getting rid of stuff – in fact, if you leave anything down for long enough in our house it will get recycled or chucked. Yet, I still seem to have way too much stuff… I think it magically proliferates! Wow — that’s a major downsize. I’m in awe. Look forward to following your next chapters as you continue to live light. What can I say? Awesome post Valen! Any blog post which starts with a Bukowski quote is always going to grab our attention. And you held it, Val, with some really touching prose. Lovely stuff. Thank you for sharing such beautiful thoughts, quotes and poems. Travel really helps you learn to let go of things that aren’t important but it still isn’t easy, still it’s something we should all work on doing. It really does, doesn’t it! And yes, even non-travelers can work on letting go! I really loved this post, powerful story! It’s so sad to see many people regretting about the past (things they have not done) or postponing things they would love to do… Thinking about what might happen if; that’s the heaviest luggage of all. Get rid of that luggage is our biggest lesson learned. We travel a lot and just see where it will end. What we can do now is the thing we will do now. Thanks! By the way, when we travel with our kids (4 people in total) we have 2 pieces of luggage..more than enough! Thanks, Emiel. I love it! Thinking about what might happen if; that’s the heaviest luggage of all. So true! And, I’m impressed that you travel with so little for a whole family! Thank you, Gabi! Jeff Foster is who you are thinking of. His books are awesome and you can download them on Kindle! I love you so much!! That is amazing– and I love what you have learned about life and about yourself through your journey. I am going through a major downsizing and would love to shuck it all and travel– but I do have this anchor (husband!) keeping me “grounded” somewhat…hoping one day he’ll realize we are meant to fly. Thank you, Denise! Yes, we are all meant to fly! Hope you get to travel one day!! Amazing how all the messages out there are about getting a bigger, house, car, tv etc. Unfortunately the more of that you have the more unhappy people seem to be. Great article about what people face and what they can do about it. It’s so true!! Thanks, James…. Yes, I get that. Some people need a base. Everyone is different!! Damn girl, this could have been me writing this post. Four years ago, sold everyhting for the same reasons and hit the road. Going back in a couple of weeks from Bali where I am now to let go of the storage unit that houses the last trinkets and especially souvenirs of my children. Been traveling mostly solo for over four years, Been to 39 countries since I started traveling at age 5. Have decided to get a base for a while. So after a year of wondering where, I have decided part of the year in Goa, India, in Bali, Indonesia, and in Thailand and Burning Man in USA (a couple weeks a year in the USA is way enough for me) and to see friend and family. I’ve always been self employed and now go for mobile income. Maybe will see you on the road somewhere. Love your post…of course! You sound like me. 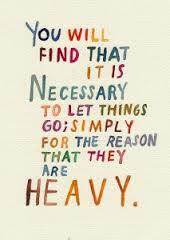 Love the letting go thing. It was exactly like that for me. Long but Exactly. NOT HAVING STUFF HAS GIVEN ME BACK MY LIFE AND FREEDOM, PRICELESS!!! I love Burning Man, too!! Yes, I would love to meet up with you. Happy travels! !